In the beginning, we were going to call the series ‘Hopeless’. 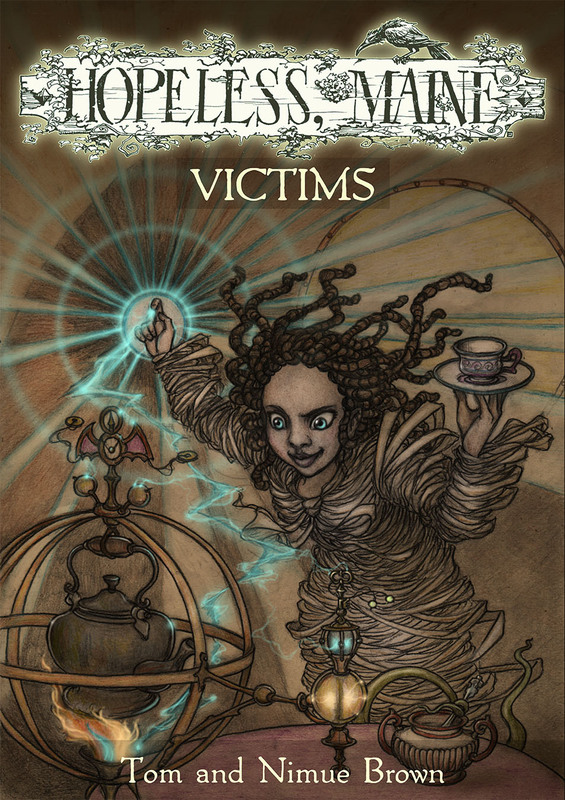 While we were with Archaia, (who first published 2 titles, now re-published in one volume as The Gathering) they decided it would be better for the marketing if we were Hopeless, Maine. I can see how this works, but it means that something is lost, and I want to share that lost thing with you. The final volume is almost certainly going to be Hopeless Survivors.